China is committed to pushing forward the Doha round of talks inresponse to what it sees as recent positive signs that may lead toprogress in the global trade talks around the end of this year, theminister of commerce said on Friday. China will hold talks toward bilateral investment agreements with morecountries and regions, especially the developed ones, to removerestrictions that Chinese companies have encountered, Chen Demingsaid at a news conference on the sidelines of the National People’sCongress’ annual session in Beijing. The Doha talks, started in 2001 to help the world’s poorest countries,have not been smooth. In 2011, Pascal Lamy, director-general of the World Trade Organization, declared an”impasse”. Reports said the countries concerned had reached consensus on a majority of issues, butsome nations, led by the United States, held divergent views on a few sensitive issues. “There have been some new signals about the Doha talks during the past two months, and allmember nations concerned are considering launching an early harvest program” by the end ofthis year, and “China is glad to see and advance the proposal”, Chen said. “Generally speaking, all the member nations are confident of the program,” Chen said. Although it has been blamed for being one of the few nations that brought the talks to astandstill, the US has been active in advancing regional trade pacts. 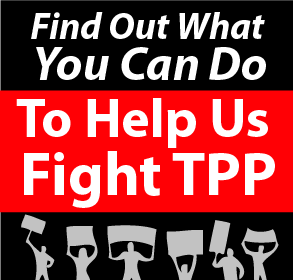 The Trans-Pacific Partnership Agreement, also known as the TPP, which covers 11 nations, isexpected to be concluded in 2013, and early this year the US and the European Unionannounced the start of talks on the Transatlantic Trade and Investment Partnership, alsoknown as the TTIP. Both are reportedly in response to the growing economic power of China in Asia andworldwide. The US invited Japan to join the TPP, and Japan has also expressed its desire to do so, butChina is not included in the talks. “All the regional trade pacts should be transparent andinclusive to all,” Chen said. According to Chen, regional and bilateral trade pacts are encouraged under the framework ofthe WTO, but all WTO members, including the US and China, should put priority on the Dohatalks. Yi Xiaozhun, the Chinese ambassador to the WTO, said that the US is deviating from themultilateral trade system through putting great efforts into the regional trade pacts led by theTPP and TTIP. “We should strike some balance between the regional and multilateral trade talks. Anyway, theDoha round of talks is the most important of all,” Yi, also a member of the 12th NationalCommittee of the Chinese People’s Political Consultative Conference, said on the sidelines ofthe CPPCC session. China has signed free trade agreements with 15 nations, and negotiations are under way for13 other trade talks with nations including Japan, South Korea, Iceland and Switzerland,according to the ministry. The US was urged by some countries to go back to the table and to the negotiations, as theDoha round is “in crisis”. Chen said “China will take a more proactive role in opening up to the world” on a wide range ofissues, including service and trade, regional development, free trade, foreign investment andforeign trade. He especially pointed out China’s need to step up efforts to invest abroad, extending its reachto more developed economies on signing bilateral investment agreements. China has signed investment agreements with more than 100 countries and regions. Lastyear, China and the US agreed to resume bilateral investment agreement talks.